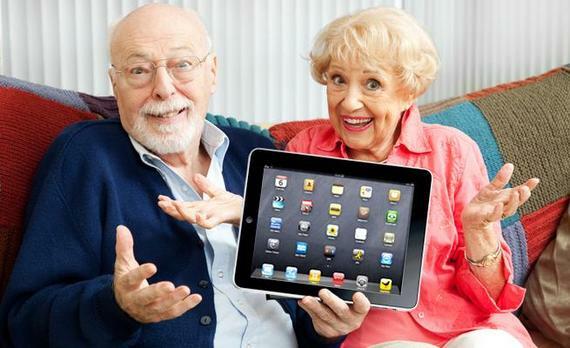 Can you recommend any tablets, smartphones or computers that are specifically designed for seniors? I would like to buy a device for my technology-challenged grandmother so she can get online and keep up with her grandkids better, but it needs to be super simplified so she can use it. There are actually several new tech products on the market today that are designed specifically for older boomers and seniors that are unfamiliar or uncomfortable with technology. These devices come equipped with simplified software, big, vivid features, less clutter and better customer support packages, which makes them more appealing and much easier to use than mainstream devices. Here are several top senior-friendly options to look into. If you're thinking about a smartphone for your grandmother, check out the new GreatCall Touch3. 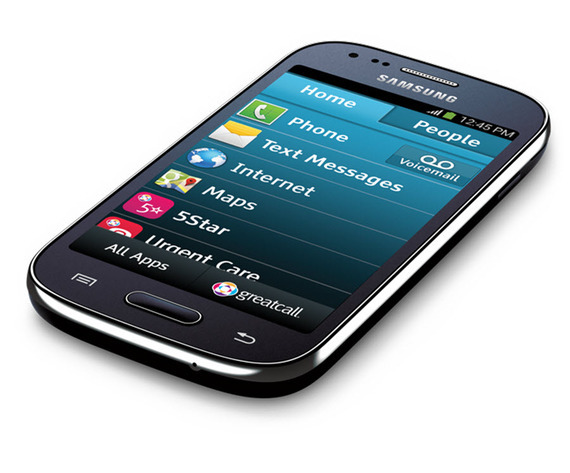 Made by Samsung, this Android smartphone has a 4-inch touchscreen with an organized large icon menu list on the home screen that provides users simple access to often-used features like the phone, text messages, camera, pictures, email and Internet, along with your contacts and apps. It also has a 5-megapixel camera, a full-size onscreen keyboard, and offers a variety of health and safety features like the 5Star app that lets you immediately speak to a certified agent 24/7 who can identify your location and get you the help you need. Urgent Care, which provides access to registered nurses and doctors for advice and diagnoses. And MedCoach, which sends medication reminders. Available at greatcall.com or 800-918-8543, the Touch3 sells for $170 with a $20 introductory discount, plus a one-time activation fee of $35, and no-contract is required. Monthly service plans that include unlimited 5Star and Urgent Care service start at $25. And their data plans start at $2.50 per month for 20MB. If you're considering a tablet, a top senior-friendly option is AARP's new RealPad, which costs $189 at aarprealpad.org, walmart.com/realpad or Walmart stores. 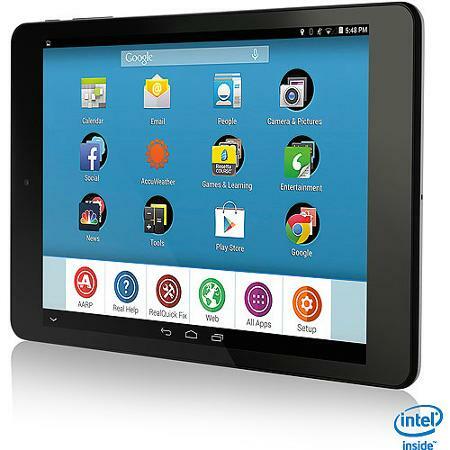 Produced in partnership with Intel, the RealPad is an Android tablet with a 7.85-inch touchscreen. It provides a clutter-free simplified home page with large text icons to frequently used functions like email, social networks, weather, news, games, camera and pictures, Google, the Web, apps and more. It also has a 2-megapixel front camera and 5-megapixel rear camera, and comes with 24/7 phone support, a bunch of tutorial videos, and a "Real QuickFix" tool that connects users to technology support agents over the Internet who can access the tablet and fix problems. If you think your grandmother would like a desktop computer, the Telikin, which has been around for three years now, is an excellent choice. Ready to go right out of the box, this all-in-one touch-screen computer displays a big button menu on the screen at all times, providing simple access to most functions like the Internet, email, games, video chat, photo sharing, news and weather, and more. 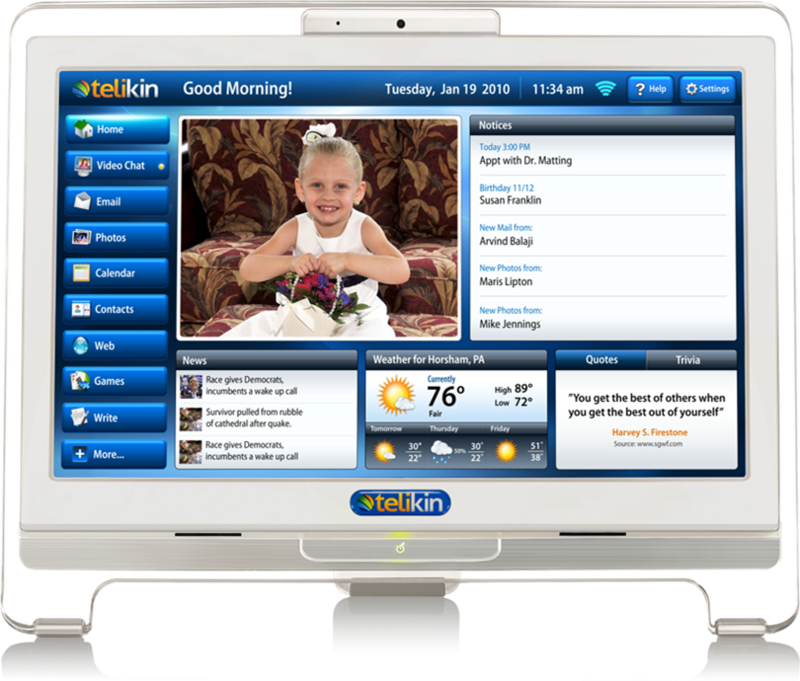 Available in two sizes - the 18.6-inch "Telikin Touch" that costs $699, and the 22-inch "Telikin Elite II" for $1,079 - these computers come with built-in speakers, a Web camera, microphone, wired keyboard and mouse. They also offer a "tech buddy" feature so you can access your grandma's Telikin computer remotely from your computer to help her when she needs it. 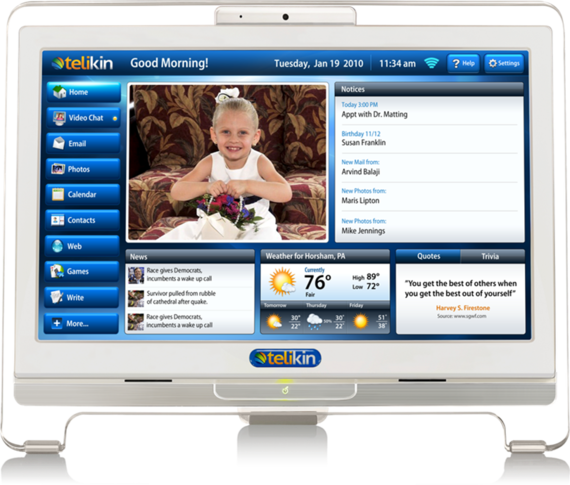 It's also worth noting that Telikin has a partnership with firstSTREET - a senior product direct marketing company - that is also selling the 22-inch Telikin for $1,079, but have rebranded it as the "WOW! Computer for Seniors."